AFP – The French government on Tuesday backed down on planned fuel tax hikes in a bid to draw the heat out of fierce protests that have escalated into the deepest crisis of Emmanuel Macron’s presidency. Pressure has been mounting on the government after protests degenerated into the worst street clashes in central Paris in decades. For weeks Macron held his ground on the fuel taxes, which are meant to finance anti-pollution policies but which critics say unfairly weigh on drivers in rural and small-town France. 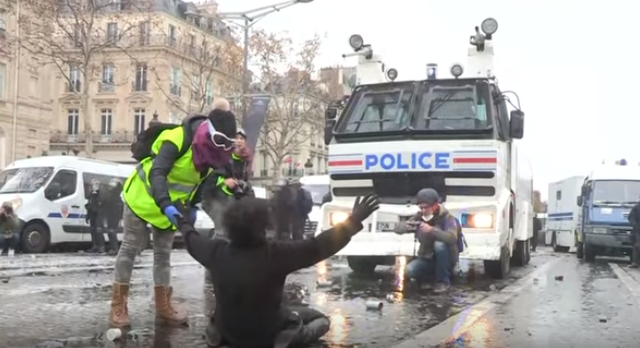 Rescinding the January increase — three euro cents for unleaded and six cents for diesel — was a core demand of the demonstrators, alongside a higher minimum wage and the return of a wealth tax on high-earners which Macron abolished. “They hope we’ll now go home but we’re not going to move,” said Lionel Rambeaux, a 41-year-old welder manning a fuel depot blockade outside Le Mans in western France. Interior Minister Christophe Castaner said extra police would be deployed next Saturday on top of the 65,000 out in force last weekend, urging “reasonable” members of the movement to stay at home. Paris Saint-Germain’s home Ligue 1 football game against Montpellier has already been called off next Saturday, as has an electro music festival in the city centre. Mass protests have repeatedly forced French presidents into U-turns, something Macron had vowed to avoid in his quest to “transform” the French economy and state. A new poll by the Ifop-Fiducial survey group on Tuesday showed the former investment banker’s approval rating at a record low of 23 percent. 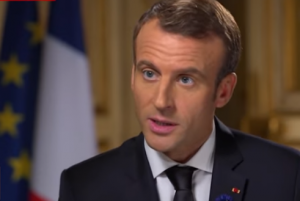 Macron’s office said he would not speak publicly about the violence “for the time being”, though he met briefly with a protester at his office Tuesday. 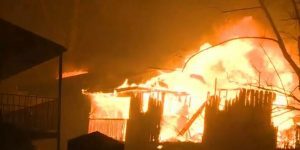 He also visited local government offices in the central town of Puy-en-Velay which were torched during a protest last weekend — and was booed upon leaving. 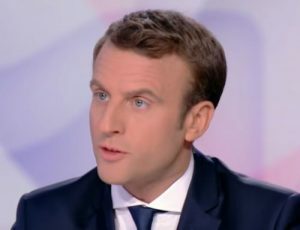 Macron was elected in May 2017 on a pro-business platform that included measures inciting companies to invest to create jobs. The protests have spread to dozens of schools nationwide, which were still partially or totally blocked Tuesday by teenagers voicing frustration over university entrance reforms.